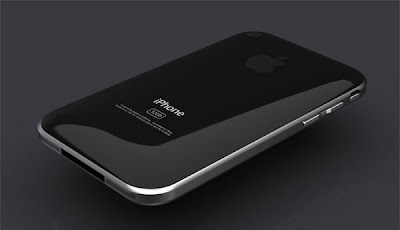 Talk about Apple products is a thing that always appeal to gadget lovers. Like a product that has a high taste, every Apple product present in the market always has a unique design so that their products also have a separate class in the hearts of consumers. The Mac Mini, is probably one of Apple's products are also unique. 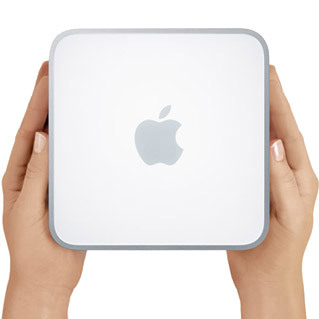 The Mac Mini was first introduced in early 2005 and is a "small computer" designed for the Macintosh computer lovers with an affordable price but still have performance that is tough enough. In line with the development of the hardware technology, the Mac Mini also has undergone a few upgrades. Now, the Apple "small computer" has got back in the upgrade, ranging from the use of the latest processors, the addition of hard disk capacity and memory, Firewire 800, Built-in Power Supply, and also the addition of the Thunderbolt port. With a slim 3.6 cm design, overall width 19.7 cm, and weighs only 1.22 kg, the latest version of the Mac Mini has two variants prices. For the price of $599, you can have a Mac Mini with a specification using a 2.3 GHz Intel Core i5, Graphics Card Intel HD Graphics 3000, hard disk type SSD 500 GB, and 2 GB of memory. For those of you who expect for higher performance, you can have a Mac Mini with Intel 2.5 GHz Core i5 processor, AMD Radeon HD 6630M 256 MB DDR5 Graphic Card, hard disk type SSD 500 GB and 4 GB of memory at a price of $799. If necessary, you can upgrade the processor and the memory of this type. 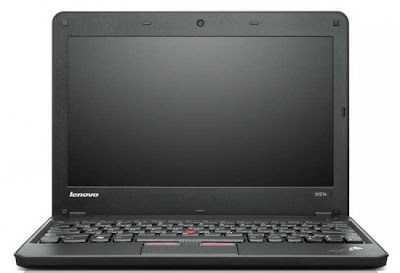 You can upgrade the processor with Intel 2.7 GHz Core i7. 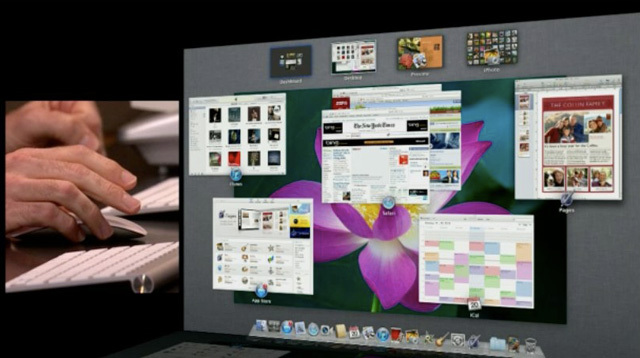 The Mac Mini uses the latest operating system, OS X Lion, which was equipped with 250 new features. In addition, there are the Lion Recovery app that can help you reinstall the OS X Lion without having to use the help of the disk. In accordance with media speculation earlier this week, Apple finally launched its new Mac OS X Lion, Wednesday (07/20/2011) local time. The Mac OS X Lion is the latest version of the Macintosh computer operating system that offers more than 250 additional features. This OS is already available in the new Macintosh products, while the old user can download the update on the Mac App Store for $29,99. As reported by the Straits Times, Thursday (07/21/2011). "Lion adalah versi OS X terbaik yang pernah ada, dan kami sangat gembira para pengguna di seluruh dunia bisa mulai mengunduhnya hari ini," said Philip Schiller, Senior Vice-President of WorldWide Product Marketing Apple. This software is the first Mac OS offered by Apple without a CD. If consumers are anxious to spend a lot of time to download a software upgrade for 4GB, Apple invited them to come to its retail stores and using their own WiFi. The Mac OS X Lion was first introduced by Apple CEO Steve Jobs in the event the Worldwide Developers Conference (WWDC) in San Francisco, in early June, along with a music storage service iCloud as well as the latest version of its mobile operating system iOS 5. The Motorola Titanium first introduced in early May as the successor of the Motorola i1, Sprint announced today that Motorola Titanium will be available starting July 24 for $149.99 with a two-year contract. The Motorola Titanium is a tool to support iDEN Nextel Direct Connect push-to-talk services. However, he added a QWERTY keyboard and the newer software, but do not expect Android Android Gingerbread 2.3 or even 2.2 Froyo. This smartphone running Android 2.1 Eclair. Just like as i1, the smartphone meets military specifications for dust, shock, vibration, pressure, temperature solar radiation, high and low temperatures. The Motorola Titanium also features a 3.1 inch touch screen HVGA, 5-megapixel camera with flash, stereo Bluetooth, GPS, and Wi-Fi. Competition is happening in the world market tablet, has made the vendors to compete to create something new for their tablets. Tablets that currently dominate the market such as Apple iPad, HP TouchPad, Blackberry Playbook. 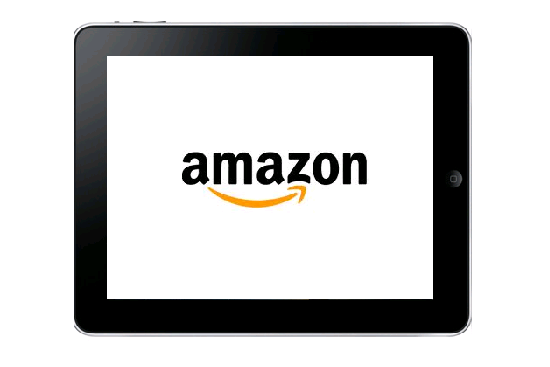 The presence of the tablets on the market do not make the android tablets trepidation. Because the android tablets are launched into the market is not inferior to the tablets from other vendors. Therefore, here be chosen top 5 best Android tablets that could be a consideration for you if you wish to have android-based tablet, based on the features and capabilities of each of these tablets. The following Andoid tablets have been tested and rated by PCMag and PCworld. Acer Iconia Tab is a great, reasonably priced choice if you want to access your content via USB sources, but the current limitations of Android 3.0 and what you can do with that content via USB, coupled with this tablet’s display quirks, still make it a qualified recommendation. 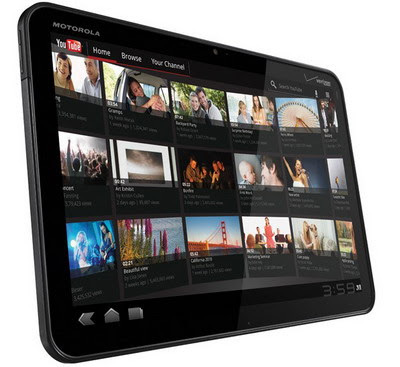 Currently the most affordable Honeycomb tablet. Speedy Nvidia Tegra 2 processor. Honeycomb features strong multitasking, e-mail and calendar notifications. HDMI out for HD video and mirroring. $150 keyboard dock accessory turns the tablet into a virtual notebook. User interface seems a bit overcomplicated at times. While promised in the future, there's no support for SD cards at launch. Android Market selection is weak for Honeycomb. The thinnest tablet currently available. Excellent 10.1-inch HD screen. Honeycomb 3.1 brings improved multitasking, Flash support, and a higher-quality user experience. Comes with earbuds—a rarity for a tablet. Samsung plans to customize the OS down the road, which may slow down future Android updates. App selection is very weak. Even with a strong Wi-Fi signal, online video playback sputtered in our tests. The Samsung Galaxy Tab 10.1 is the thinnest Honeycomb tablet available, but until Samsung pushes out the customized user interface it's planning, you won't really know what you're getting. Integrated USB, mini-USB, HDMI ports, and SDXC card slot. User-removable battery can be swapped out, replaced. Honeycomb OS is generally well-designed, great for multitasking. Bulkiest of all the Honeycomb tablets thus far. Not competitively priced. With full USB functionality and a replaceable battery, the Toshiba Thrive is better outfitted for business tasks than most Honeycomb tablets. But in a world where a svelte tablet build is important, its bulkiness is bound to be a turn-off for some. The MobileGo apps for Android Phone is an application for android mobile phones that allows users to transfer music, movies and pictures. Simple, just by connecting it to the Desktop PC. Once the MobileGo apps installed, connect the Android phone to PC via USB and wait for the software to recognize the phone. 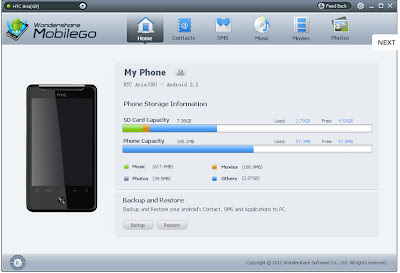 If your phone does not immediately recognize the MobileGo software, do a manual driver installation and restart your phone and PC to both make the connection. If your Android phone not compatible, send requests for the applications to Wondershare. Unlike iTunes on the iPhone, MobileGo can see the space occupied by the music content, images and movies. 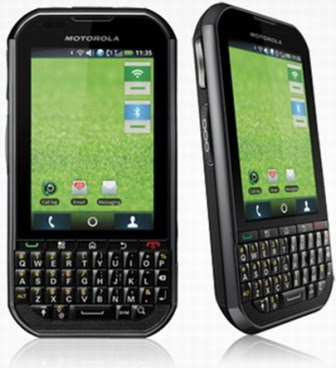 MobileGo can also transfer your contacts from Outlook or Symbian phone into the Android phone. If the device has to rely on the cloud there is tight integration between Gmail and Android. Conversion of data in the .Mkv format handled quickly and easily within minutes. You can get this MobileGo apps for Android Phone at a price of $40. 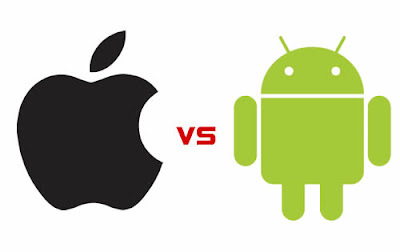 A recent report revealed that in the second quarter of 2011, developers prefer the Apple iOS than Google Android operating system (Apple iOS vs Google Android OS). According to data released by Flurry, a company that provides statistical data application developers, this time the developers tend to create applications for iPhone, iPod Touch and iPAD, rather than for Android applications. The study revealed that in the second quarter of 2011, 57 percent of the new applications project are created for the iPhone, up from number 54 percent in the first quarter of 2011. As reported by IT Portal, Friday (07/15/2011). The data in the study also shows that in the second quarter of 2011, 15 percent of the new applications project created for the iPad, up 10 percent from first quarter 2011. As for Android, instead suffered a setback. Because for the second quarter of 2011, only 28 percent of new application projects that are intended for Android, a decline from the previous figure that is still around 36 percent in the first quarter of 2011. Flurry mentioned that there are two main reasons of the decline in interest in the application developers for Android, the first is the launch of the iPhone 4, while the second is the launch of the iPad 2. "Google should take prompt steps so that Apple does not continue to attract application developers," said Flurry, in response to an increase in the percentage interest of developers to the iOS. Following the successful of Toughbook laptops are "anti-tsunami" series and follow the development trend of mobile computing, Panasonic launched the Toughbook H2 tablet. The tablet has a dual touch screen measuring 10.1-inch display that carries TransfelctivePlus display technology that can produce a display brightness level up to 6 thousand minutes. Coupled with the presence of circular polarizer, and display anti-glare and reflection make screen tablet is easily seen, even when under the blazing sun. The Panasonic ToughBook H2 Tablet Specs include an Intel Core i5-2557M vPro processor (1.7GHz with Turbo Boost up to 2.7GHz), 4GB of RAM can be upgraded up to 8GB, and a choice of 120 GB or 320GB 7200rpm hard disk drive. The tablet is equipped with a super tough range of wireless technologies, including WiFi, Bluetooth, and 3G mobile broadband technology from Qualcomm. In addition, the Panasonic ToughBook H2 Tablet based on Windows 7 also comes with various features that will help the productivity of field workers. Including barcode readers or RFID, resolution 2-megapixel camera, up to GPS. With a myriad of completeness, the Toughbook H2 battery can last quite long, ie up to 6.5 hours. Just as the its name, the Toughbook, a tablet that weighs 1.6 pounds can be dropped from a height of up to six feet or about 1.83 meters. This capability makes H2 Toughbook tablet suitable for use by workers who do not want to worry if the tablets fall. Moreover, Panasonic complement this tablet with the hand strap to make it easier for users when they bring these tablets over a period of time. 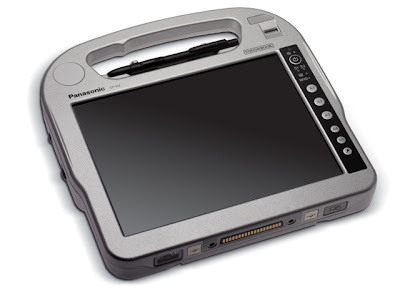 The Panasonic ToughBook H2 Tablet Price start at $3,449. Laura Chambers, Senior Director of PayPal Mobile, demonstrates the tap-and-pay move at the MobileBeat conference today in San Francisco. At the event, Laura showcased the ability of the PayPal mobile payments to transfer money and pay by tapping two phones together as it looks to secure its role in developing the mobile-payment. The demonstration was performed by using two Nexus S Smartphones are equipped with a near-field communications (NFC) technology, which allows for rapid transmission of information, in this case the data on the amount of money transferred. Transfers can be done through a special PayPal widget. “The demonstration shows PayPal is jumping on the NFC bandwagon, which has been embraced by the likes of Google, payment systems manufacturers such as Verifone, and credit card issuers such as Visa and MasterCard. The growing number of players also indicates the crowded room through which a payments provider like PayPal must navigate.” As reported by Cnet, on Wednesday (07/13/2011). Previously, PayPal already handles the mobile payment through an application that communicates via Wi-Fi or cellular network, or through a mobile browser or text messaging. It is also experimenting with NFC stickers placed on the back of the phone, but the tests are limited in scope. 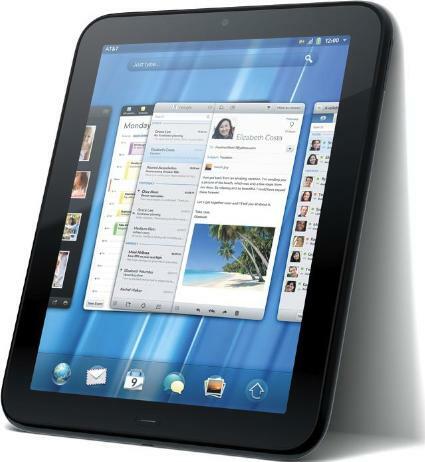 HP today announced that HP TouchPad 4G is available in the U.S. market through AT&T. “TouchPad 4G is ideal for anyone who needs maximum flexibility for productivity on the go, It’s particularly well suited for users who rely on connectivity in the field – from large corporations to small businesses and self-employed mobile professionals.” Said David Gee, vice president, Marketing and Enterprise Solutions, webOS, Personal Systems Group. The HP TouchPad 4G specs comes with a faster processor 1.5 GHz, 32 GB of internal storage, integrated GPS and integrated GPS and AT & T mobile broadband wireless capability built, as well as allowing users to access the web, check email and get more done in more places - not just Wi-Fi hotspots. In addition, with the support of Adobe Flash Player Beta, the HP TouchPad 4G-enabled for video calling, the ability to print wirelessly to a network printer HP compatible; Quickoffice to view Microsoft Word, Excel, and PowerPoint files, and Adobe Reader PDF, HP TouchPad productivity a true powerhouse. Automatically sync personal and work email, contacts and calendar information from sources such as Microsoft Exchange, Facebook and Google into a single view. The HP TouchPad 4G will be available on HP commercial channel, AT & T and Business Services major retailers, is still not an official announcement for the price of The HP TouchPad 4G. The LG Optimus Pro C660 is a QWERTY Smartphone with a portrait, which has similar specs to the LG Optimus One and priced with a low price as well. The form factor is quite rare on the market and become new entrants that will compete with HTC ChaCha and Motorola Pro. The LG Optimus Pro C660 specs features a 2.8 inch screen with a resolution that is currently unknown and four row QWERTY keyboard underneath a portrait. Screen aspect ratio is 4:3, so the possibility of the screen has QVGA resolution. The LG Optimus Pro is reported to run on Android 2.3 Gingerbread OS on 800MHz CPU with 512MB RAM. Cameras include a 3MP camera and supports HSDPA connectivity, Wi-Fi, Bluetooth, GPS and battery 1500mAh. And there is the possibility of 150MB of internal storage but no info on the microSD installed or not because all the specs that there is definitely unconfirmed at this time. The LG Optimus Pro C660 price is $250 which makes this phone compete with HTC ChaCha. Italian Retail Mediaworld.it rumored as one retail store that will offer the LG Optimus Pro, but there is currently no information exactly when this phone will be available. MSI recently launched its latest notebook is the MSI FX620DX supported by Intel's Sandy Bridge platform. The MSI FX620DX has a 15.6-inch screen with a grid design on the exterior with the latest anti-scratch and anti-fingerprint coating. The MSI FX620DX notebook consists of three processor versions to choose ie: Intel Core i3, i5, or i7, with memory up to 8GB RAM and NVIDIA GeForce GT540M 3D graphics card with 1GB of video memory. The new MSI FX620DX notebook specs has a 15.6-inch screen 1920 × 1080 Full HD theater classes and four speakers with THX TruStudio Pro technology. The MSI FX620DX comes with a 750GB hard drive SuperMulti drive and a choice of DVD or Blu-ray. This notebook also supports Bluetooth, WiFi 802.11b/g/n and provides two USB 3.0 ports and two USB 2.0 ports. You can also find HD webcam, HDMI output, 5-in-1 card reader and Chiclet keyboard and multitouch touchpad on this notebook. The MSI FX620DX notebook price start at $773.03, and you can make purchases via Amazon. The rivalry between Facebook and Google+ increasingly apparent in the social networking world, having previously Facebook cooperation with Skype to bring video chat feature, now the largest social networking service is preparing to bring its music service. Rumor has developed a limited basis among developers, who say Facebook will present a music service called Vibes. One software developer Jeff Rose in his blog revealed that, after Facebook released a video chat feature, he saw the codes 'hidden' which indicates that the video chat will have the name Peep, and Vibes for the music service. "I am looking for the code on Facebook, and I found a feature that has not been announced as Vides. This feature seems to be Facebook's music service," he wrote, as reported by the Telegraph on Monday (7/11/2011). "Vibes feature will be connected with a source to download music. 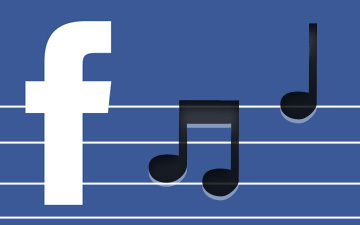 So I thought, this is the future of Facebook music service," Jeff said. This assumption is stronger after the mid year ago Facebook is reportedly negotiating with Spotify, which is the site of the leading music service in North America. Reflecting on the partnership with Skype, it could be this issue is not just a figment. 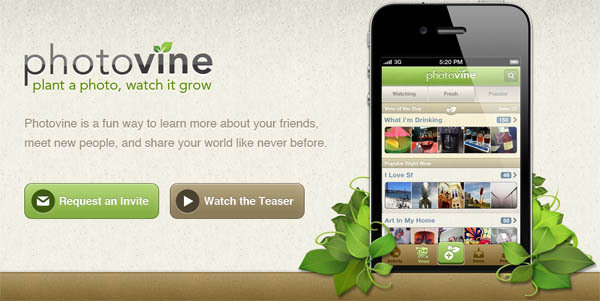 If this be true, then surely this is an open war with Google+. Because as is known, Google's social networking service is also preparing a similar service. Facebook unveils skype video chat with a new group-chat feature and a redesign to its chat tool, the company announced today. The new features are part of an event Facebook held today at its Palo Alto, Calif., headquarters. Last week, Facebook co-founder and CEO Mark Zuckerberg said that his company was planning to "launch something awesome" today. 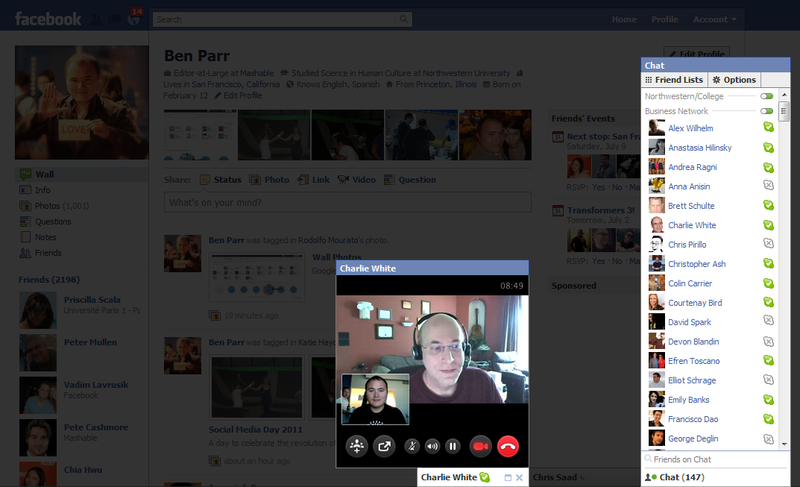 The social network's new offering will allow users to group multiple people into a single window to chat. Those who are online will get messages immediately, while those who are not on the platform will receive a summary of the conversation at a later time. In addition, its chat tool features a sidebar that shows all the folks a respective user chats with most often. That sidebar adjusts in size based on the size of the user's browser window, and "appears when the window is wide enough," Facebook says. According to Zuckerberg, that simple change should make it easier for those with larger browser windows to chat. Both group chat and Facebook's new chat design are being rolled out starting today. 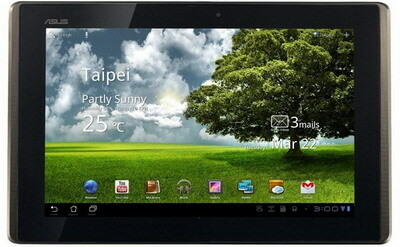 Acer continues to passionate in presenting the tablet on the market. 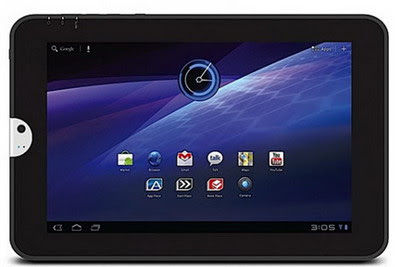 Still not quite with the presence of Iconia, Acer reportedly will release a device “Acer Ice Cream Android Tablet” that was popular in the market in the near future. Interestingly, the tablets carried by the Taiwanese company will adopt the new Android operating system, the Ice Cream Sandwich. Although in fact, Google itself has not announced when this OS will be released, including whether an update for the tablet or smartphones. 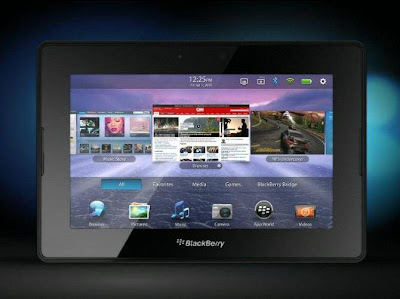 Launched by VR Zone, Tuesday (07/05/2011), although Android Ice Cream Sandwich still feel its presence, reality Acer rumored to be presenting this tablet in the fourth quarter of 2011. From a number of rumors circulating, this tablet will be using a screen measuring 10 inches, with processors that power is still not revealed the property of ARM. 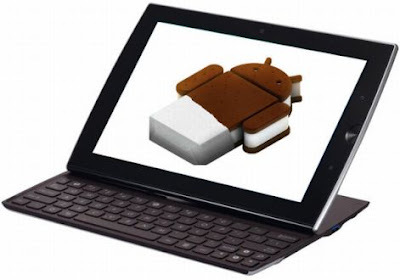 For the model, this tablet will adopt a slide with a qwerty keyboard. Similar to the Asus tablet? It seems that way. As is known, the Acer more excited to bring the tablets to the market with all sorts of flavors. 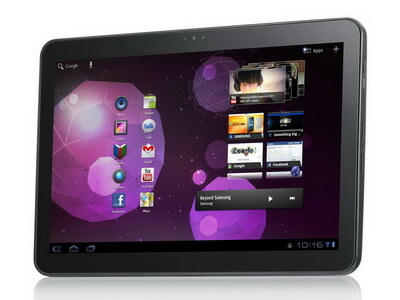 After the success of Android, they will reportedly bring the tablet based on Windows 7. Although official information has not been submitted formally. 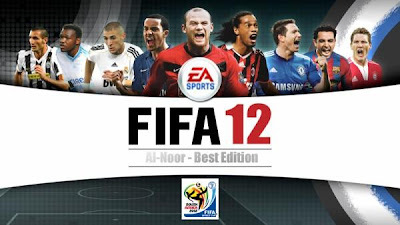 Sony plans to prepare new game console platforms, the PlayStation 4, justified by the two partners in Taiwan. Sony was allegedly going to start producing late next year and the planned release date in 2012. The claim was made by the component manufacturers from Taiwan, Foxconn and Pegatron Technology which assembles the PlayStation 3. Both companies are reportedly also be responsible for assembling the PS4. As reported by DigiTimes, Monday (07/04/2011), Sony will prepare at least 20 million units for the initial shipment of the PlayStation4, next year. Discourse about the PS4 production was revealed by the media as well as Sony Vice President Financial Officer Masaru Kato revealed the plan on a conference call with investors, last May. 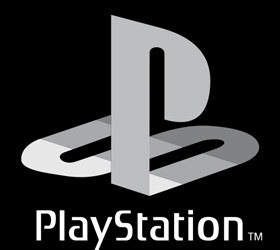 However, a statement Masaru contrary to the utterance of Chairman Sony Computer Entertainment Kaz Hirai several months ago that a Japanese company has not thought about the PS4 or the latest generation of gaming consoles in any form.